Hello again and (almost) Happy New Year to you! I hope you’ve had a restful holiday period – ours has been… eventful. See the bottom of the post and you’ll see why! But it’s been lovely to host family and generally take it easy. I’ve needed it. The first book I’ll talk about is Rising Strong by Brene Brown, mostly because it’s the only one I’ve finished thanks to a week at the beach. I think it’s a solid book with a terrific message and I appreciate those told from her direct experience – they’re the examples that I think work the best too. I strive to tell stories similarly (truthfully, clear-eyed, open) and sometimes I’m more successful than others. But I keep trying. Every time I pick up a book by Joyce Carol Oates I ask myself, ‘Why don’t I pick up more?’ With over 40 novels to her name, not counting her other work, there’s a lot to choose from! But this one caught my eye at the library – Black Dahlia & White Rose: Stories, due in large part to the subject of the title story: The Black Dahlia murder case. (I won’t link to it as that could take you and me down a path we might not be ready to go down, especially if photos are involved.) Still – I was curious! And now I can learn. On the subject of stories, and off the back of last month’s recommendation, I’ve been dipping in and out of Fresh Complaint by Jeffrey Eugenides and have been enjoying them a lot. Still on that topic, I have The Best Australian Stories 2017 edited by Maxine Beneba Clarke on my To Be Read pile. And now to the Christmas book haul. Every year I buy that year’s Best Australian Poems and this year is no exception. 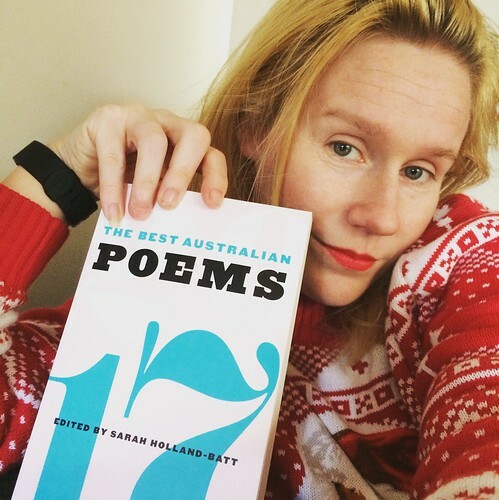 It is edited by Sarah Holland-Batt who I admire a lot and look forward to plunging in (my head space just hasn’t felt ready to tackle poetry). 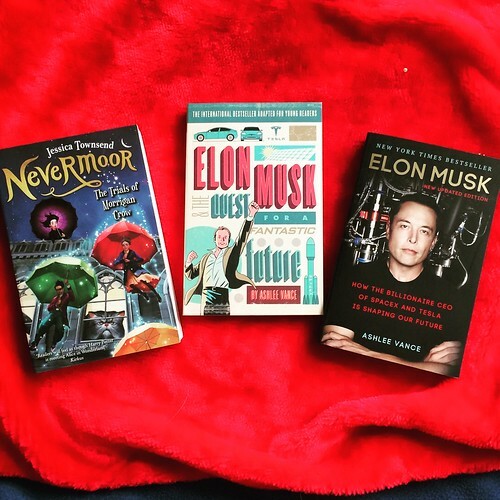 The kids got Nevermoor by Jessica Townsend and Elon Musk: The Quest for a Fantastic Future by Ashlee Vance. In the spirit of authenticity I spoke of at the beginning of the post, I’ll admit that neither book has been cracked open yet by a child. By me? Yes. But not them. Lucky last we have Elon Musk by Ashlee Vance. This is the original adult version the above one has been modified from. This was Adam’s lone book request and is about the second physical book he’s read in YEARS. (He’s almost a pure Kindle reader now.) This, too, remains untouched. And now to family news: we have a new member. 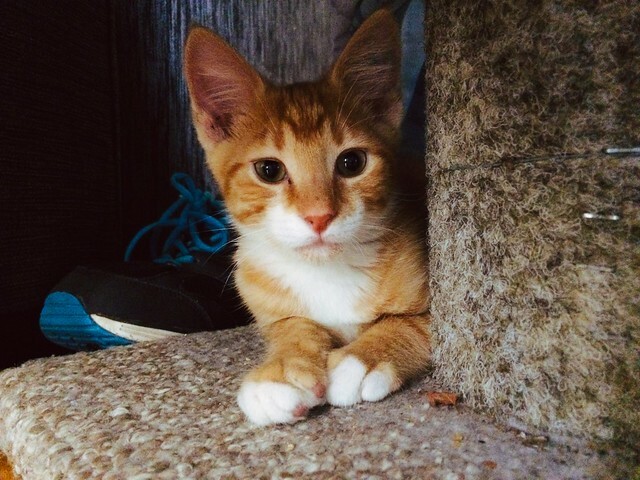 This is Kylo Ren – a male ginger kitten and is a bundle of energy and affection. Our existing cat – Whiskers – remains perturbed by this turn of events. These past few days have been quite involved as I’ve never owned more than one cat at a time and, boy, it’s a learning curve. All suggestions on how to get them to bond welcomed!